Nowadays, more and more people are using essential oils to take advantage of its numerous benefits. They are taking advantage of the fact that essential oils are cheaper than your regular medicines and are made from natural ingredients. One way to enjoy the benefits of essential oils is through diffusion. This method uses a diffuser to distribute essential oil molecules through the air, making it possible for them to be inhaled, enter a person’s body, and bring in the therapeutic properties of particular essential oil to help with whatever health or medical issues of that person. To fully reap the benefits of essential oils through the diffusion method, one has to have the right type of diffuser and has to make sure that it was made from the top quality material. An essential oil diffuser is a device that enables the essential oil to evaporate and circulate its scent in an area. 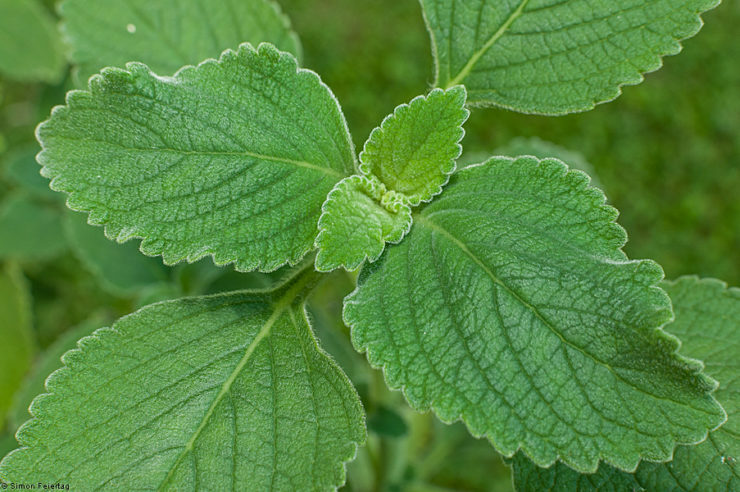 As previously mentioned, it allows essential oil molecules to get inside a person’s body. Aside from enabling the essential oils’ molecules to be inhaled by a person, a diffuser can also be used for a variety of purposes. Diffusers can help purify the air and enhance the fragrance of a room. 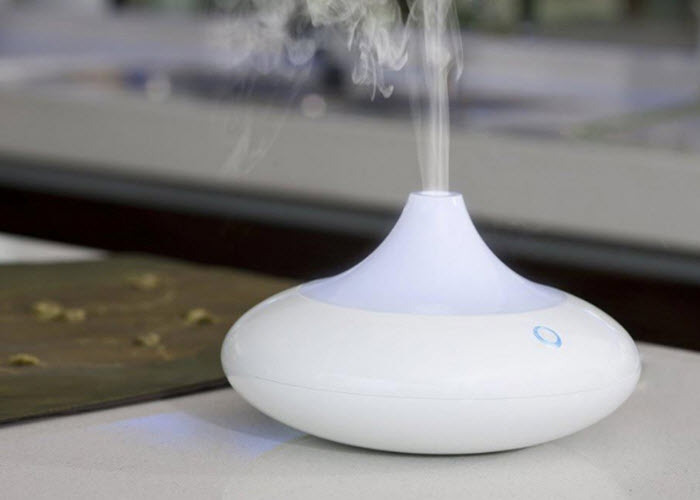 By diffusing the anti-microbial and anti-bacterial components of certain essential oils, smoke and other unpleasant odors can be eliminated from the air. Since it may also be used with water alone, it can humidify the air to ease the discomfort brought by nasal allergies. They also work as ionizers, putting negative ions into the air, attracting dust particles, allergens, and other substances to make the air fresher and healthier. 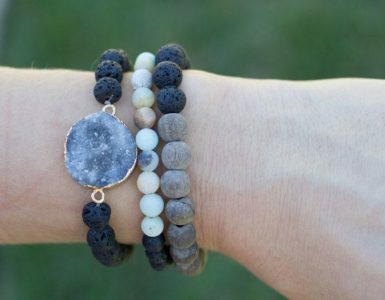 When inhaled, these negative ions produce biochemical reactions that increase the levels of serotonin. Serotonin is a brain chemical that enhances the mood, removes stress, and increases energy. Diffusers are also efficient in maintaining the purity of essential oils because they do not use heat. They are also nice to look at, adding aesthetic value into any room or office. Some are also equipped with light emitting diodes (LED) which changes from one color to another. Compared to scented candles, they are safer to use since they do not need a flame to diffuse the oil. Another safety feature of a diffuser is their automatic shut-off feature which most of them are equipped with. Aside from that, diffusers can process a blend of two or more essential oils. There are four types of essential oil diffusers depending on the way they work. 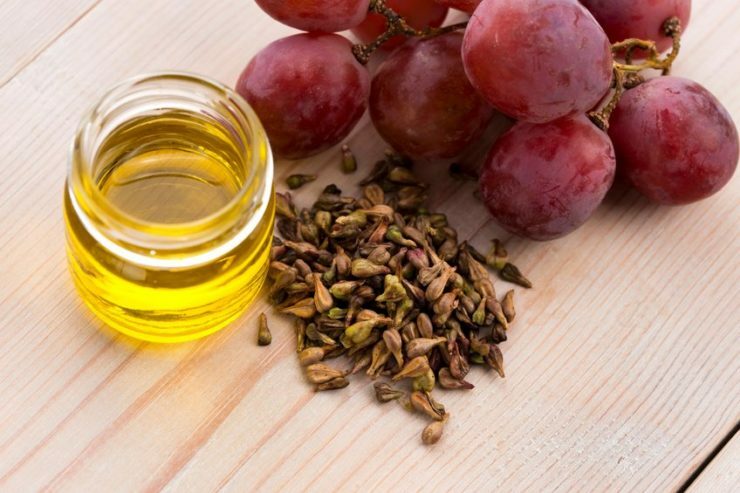 They are considered best for diffusing oil for internal use, as they disperse essential oils’ molecules without changing its chemical composition, retaining its therapeutic properties and powerful aroma. 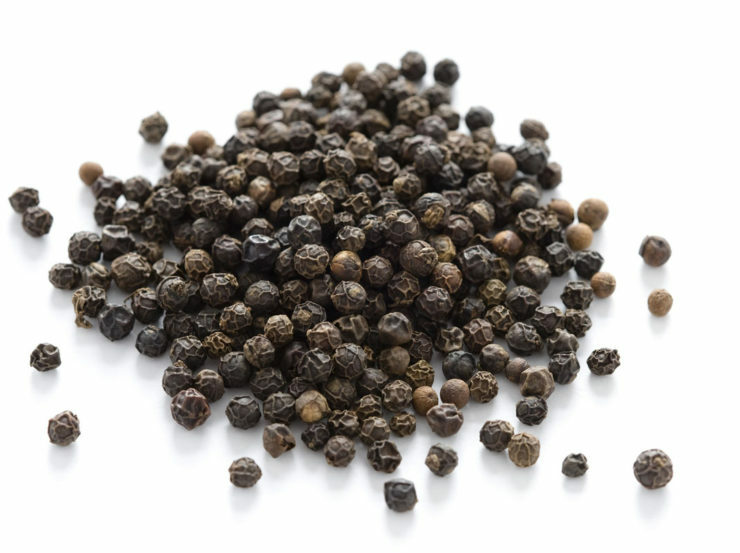 They do not need heat or water to disperse the oil. It works by using an atomizer that creates fine, airborne particles released into the air. Since they use oil alone and without water, they produce a concentrated smell. That is why nebulizers have a feature that can control the size of the mist produced, the length, and the interval of time in between each spritz. The only downside is that nebulizer uses more oil and disperses it more quickly compared to other types of diffusers. It is also louder than ultrasonic diffusers and is more expensive than the other types. 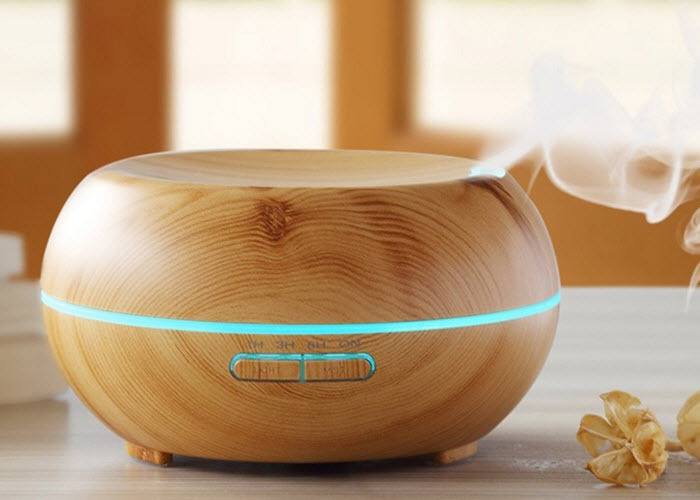 Unlike nebulizers, an ultrasonic diffuser uses water to disperse oil, which results in a milder scent or concentration of the essential oil. It works by producing vibrations in the water, which then cause the oil and water mixture to vaporize into the air. It is similar to the nebulizer in the way that it does not uses heat to diffuse and essential, thereby, preserving the integrity of the oils. It can also be used to humidify the air, which is perfect to be used for an air conditioned or windowless room, or during winter. 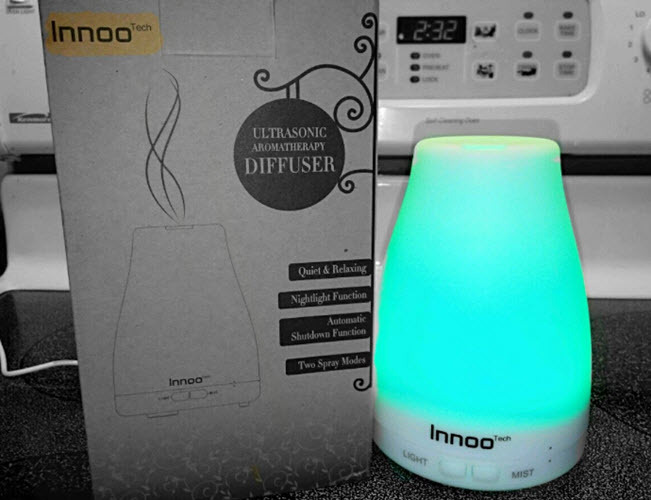 It nicely diffuses oils that can relieve insomnia, anxiety, and enhance memory. The ultrasonic diffuser is less expensive than the nebulizer, and it can also function as humidifier and diffuser in one. However, this kind of diffuser is not suitable to be used with citrus oils and needs occasional cleaning. Evaporative diffusers, on the other hand, use a filter or pad to distribute essential oil and a fan to circulate the vapors. It can be loud, as it works, because of the fan but it enables quick evaporation and circulation of oil in an area. These type of diffusers work perfectly in a small area, and they are relatively cheaper, as compared to the other diffuser types. Among the disadvantages of this diffuser is that they have shorter running times and they do not disperse a complete blend of essential oils at the same time because they tend to portion out the oils so that the lighter components evaporate quicker than, the heavier ones. Lastly, we have the heat diffusers. As the name suggests, these devices use heat to diffuse essential oils and enhance the fragrance of the environment within an enclosed area. They are, considerably, the most inexpensive among the four and they are small enough to fit inside a vanity kit or purse. 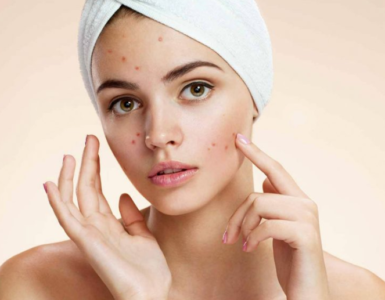 On the downside, heat can alter the chemical composition of the oil, which, in turn, has an affect on the therapeutic properties and intensity of the fragrance of the essential oils. Each type of diffuser has their own set of advantages and disadvantages. Choosing the best types of diffuser among the four entirely depends on a person or an area’s requirement. Regarding aroma distribution, nebulizer and ultrasonic diffusers can quickly diffuse fragrance within a large area while evaporative and heat diffusers work efficiently in smaller areas. Those who prefer their essential oil potent may consider getting a nebulizer while those who prefer milder scent and would like the oils to last longer may get the ultrasonic type. Evaporative and heat diffusers are not good choices to diffuse essential oil for it healing benefits since these oils are best used cold. The ultrasonic diffuser is the best when it comes to running time because their higher water capacity allows them to diffuse aroma for a longer time without breaks. A nebulizer is quick in dispersing vaporized essential oils and may need to refill, from time to time. The same is true with evaporative and heat diffusers. Speaking about the price, nebulizers are the costliest while heat diffusers are the most inexpensive ones. A high-quality diffuser, with features that match the needs of the person who will be using it, will help fully maximize the benefits of essential oils. Different types of diffusers have their good points, and aside from those, there are other aspects to be considered to help a person choose the right one. Water Tank Capacity and Operating Time. Diffusers that can hold a bigger volume of water have longer running time than those which can only hold a small volume. This is because the bigger volume of liquid takes more time to evaporate. One should also consider the device’s running time especially if he or she wants to inhale essential oils while sleeping overnight. A diffuser that can hold at least 80-100 ml of water at a time can ensure that the diffusion of essential oil will last for an ideal length of time. A bigger tank will also mean that there is no need to refill the unit frequently. Programmable Options. 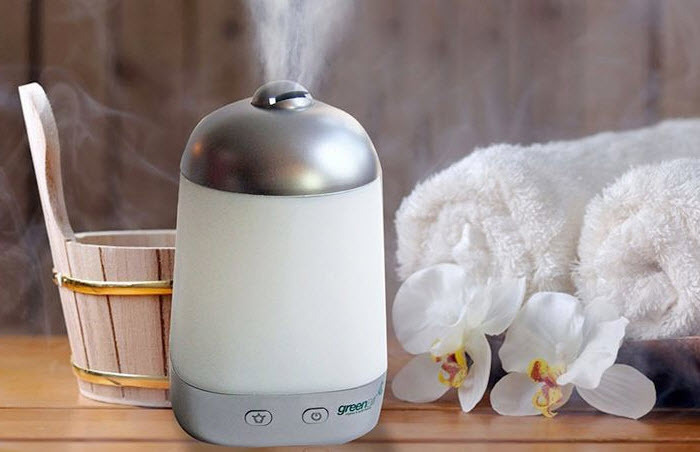 There will be times when a user will want his diffuser to run for a certain period, or he may want to have a milder concentration of fragrance. In this cases, it is important that the device he will use has these options so he can enjoy his essential oils the way he wants to. Look for diffuser which will allow the user to have control over the device’s operating time and airflow output. Automatic Shut Off. This is an important safety feature that a diffuser should have. Saving the user from worrying about overheating and risk of fire, diffusers equipped with this feature will immediately turn it off once the water runs dry. LED Light Effects. Some people take delight over the changing colors of LED lights in their diffusers while some do not. Some cannot sleep well with lights turned off, even if it’s just from a diffuser. He or she will not be able to enjoy essential oil at night if the diffuser that will be used comes with LED lights. A person like this should take into consideration whether the diffuser he or she will be using has an LED light effects, or if it can be turned on and off, depending on the owner’s preference. Noise Level. Some types of diffusers are quite loud while some produce a buzzing sound when it is working. If a person is easily bothered by this kind of noise especially when he or she is asleep or is just trying to relax, it is important to check the level of noise produced by his chosen diffuser. Area of the Room to be Covered. Some diffusers specify the range of area it can cover, so be sure to look into this especially, if the diffuser will be used in a large area. Size and shape. The size and the shape of the diffuser is a factor to be considered when it comes to the portability of the device. A person will want his diffuser to be compact and light if he wants to bring it from one place to another. On the other hand, a bigger and a heavier diffuser is fine if the diffuser will be fixed in a room in the house or the office. Warranty and Guarantee. Check on the manufacturer’s warranty and guarantee of the diffuser. Some come with a one-year warranty or even more. A warranty is a written assurance from the manufacturer of a product that he will repair or replace it, once it is damaged or broken, within a specified period. The longer the warranty, the better. It is a steal if the manufacturer is willing to shoulder the cost of repair of the diffuser for a longer period after it was bought. It is important to remember that the diffuser is just as good as the essential oil it will be used with. 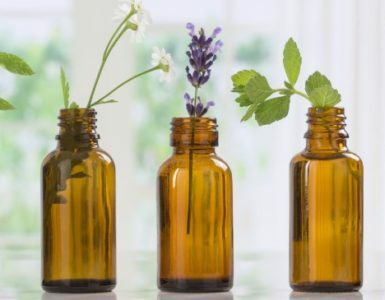 The best diffuser cannot alter the quality of the essential oil used, nor improve it, so it is also important to choose the best essential oil brands to have a beneficial and relaxing experience with essential oils truly. Also, choose a diffuser that can be easily cleaned using soap and water. 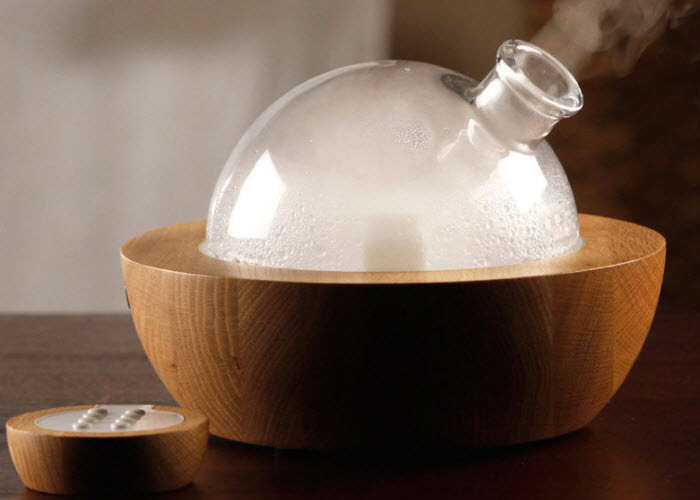 Here are five essential oils diffusers which received rave reviews online. 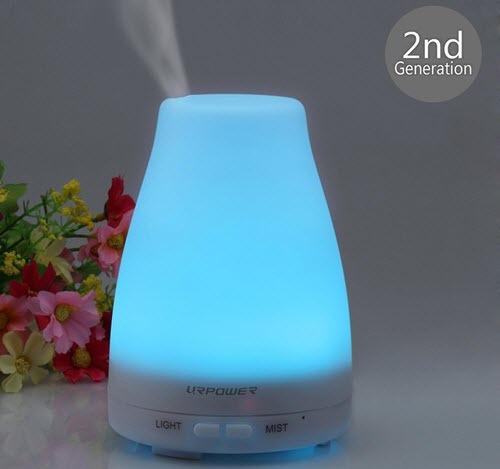 The latest version of URPOWER Essential Oil Diffuser produces more mist compared to its previous model. Equipped with a seven-color LED light which can also work as a night light, it will surely add a nice touch to any office or home. It can hold up to 100 ml of water and runs for six hours. This device is perfect for those who want to enjoy the benefits of their essential oil while sleeping, especially that its noise level is pegged at less than 36 Db. No need to worry about fires and to overheat since it has an auto-shut off feature that automatically turns the device off as soon as the water runs out. It also has a programmable cycle option which lets the user choose between three hours of continuous mist or a six-hour intermittent mist which has an interval of 30 seconds after each spritz. The device is easy to clean using water and a soft brush. The device is portable with its small size, but it has the power to raise the humidity level of a small to medium-sized room. It comes with a measuring cup, so there’s no need to guess if the user is putting a sufficient amount of water inside the tank. As soon as the water level starts becomes too low, it will give off a warning sound before shutting off when the water runs out. Its running time is short and may not be capable of covering a large room. Opening the container is a bit difficult at first but will become easier after a few attempts. With its light wood grain look, this device will add an aesthetic touch to a living room or an office, and its compact design will not take up a lot of room. It has a big tank which can hold up to 300 ml and can run up to ten hours, not to mention that it releases excellent mist. A combination of materials such as polypropylene (PP), Acrylonitrile Butadiene Styrene (ABS), and Polycarbonates (PC) made this diffuser shatter-proof and lightweight. Eye-catching and modern, the user can set this diffuser to run for one, three, six hours, or even continuously. While in continuous mode, it will automatically shut off once there is no more water. It’s strong mist dispersion can cover a large room but can be controlled using the mist settings. It can also be used with or without the lights, depending on the user’s preferences. It is not BPA-free and does not lock in place. There will be spills once the device gets knocked over. With its short stature, strong build quality, and four sturdy rubber feet, this diffuser is not one to easily get knocked over. It can hold up to 350 ml of water and can run to a maximum of six to seven hours. The strong vapor it produces can last within the area for more than 15 minutes, even after the diffuser itself had been turned off. Easy to operate and comes with a manual that provides straightforward instructions. Its light is not so bright, and its noise level is pegged at about 40 Db, so this device will not disrupt sleep. With its strong build quality, sturdy rubber feet and big water capacity, this diffuser is moderately priced given its features. It stands low, so there is a lower risk of it getting knocked over and spilling its contents. This diffuser is wide though it stands low, requiring a bigger space. Light emitted is very minimal—more like a design element than a functional one. With its whisper-quiet ultrasonic operation, this diffuser not only fills an area with fragrance but also adds a light mist that prevents the air from becoming too dry and stuffy. It is portable, has an automatic shut off feature and comes with seven changing mood lights. It may run for three-hour continuous mode or six-hour intermittent mode. This diffuser is a great choice for those who want to have a relaxing sleep because its only produces 35 dB of noise and can also work as an excellent night light with its changeable color and level of brightness. Furthermore, it has an automatic shut off feature which means that there is no need to turn it off manually and the user can go into a deep slumber. It is quite difficult to get off and may get stuck, if not placed correctly. The light may be too bright to use in a bedroom, even on a dimmer setting, and those who are sensitive to light while asleep might find it disturbing. The plug is placed at the bottom of the unit, making it difficult to plug it into an electrical outlet. Users do not have the option to set the mist setting or to set the timer. Works as a diffuser, humidifier, and a night light, the device has a built-in fan which disperses essential oils across a wider area evenly. It has seven different colors adjustable to dim or bright to suit the user’s mood. This device has three working modes such as intermittent mist which has a 30-second interval between operations, continuous mist, and lights only. This diffuser is easy to clean and operates silently. It also has an automatic shut-off feature and a measuring cup for precise water measurement. Some people find the light too bright and plugging the unit into an electrical source is difficult. 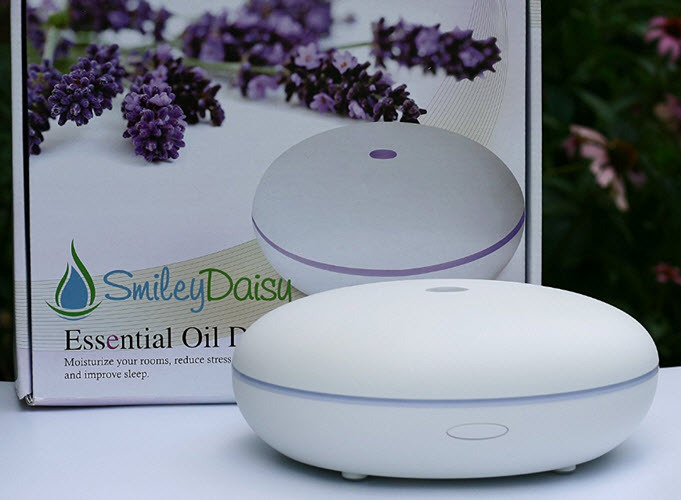 Essential oil diffuser is a device that enables the essential oil to evaporate and circulate its scent in an area, allowing essential oil molecules to get inside a person’s body, once these molecules are inhaled. It has four main types namely, nebulizing, ultrasonic, evaporative, and heat diffusers. 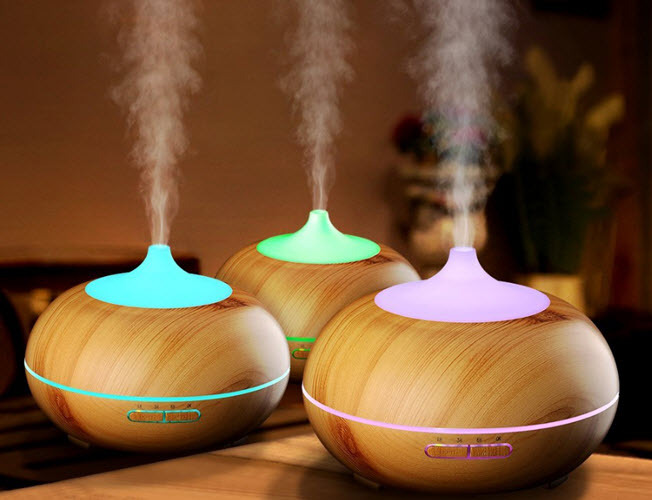 Ultrasonic diffusers, on the other hand, use water to disperse oil, which results to a milder scent or concentration of the essential oil and work by producing vibrations in the water, which then cause the oil and water mixture to vaporize into the air. Meanwhile, evaporative diffusers, use a filter or pad to distribute essential oils and a fan to circulate the vapors and work perfectly in a small area. Lastly, heat diffusers use heat to diffuse essential oils and enhances the fragrance of the environment within an enclosed area. Essential oil diffusers are efficient in maintaining the purity of essential oils because they do not use heat. They can help purify the air and enhance the fragrance of a room by diffusing the anti-microbial and anti-bacterial components of certain essential oils. It also humidifies the air to ease the discomfort brought by nasal allergies. They also work as ionizers, putting negative ions into the air, attracting dust particles, allergens, and other substances to make the air fresher and healthier. These negative ions produce biochemical reactions in the body that increases the levels of serotonin. When choosing essential oils diffusers, it is important that they are equipped with certain features to maximize the benefits of essential oils fully. Regardless of the type, look for a diffuser which has a bigger water tank capacity and longer operating time. 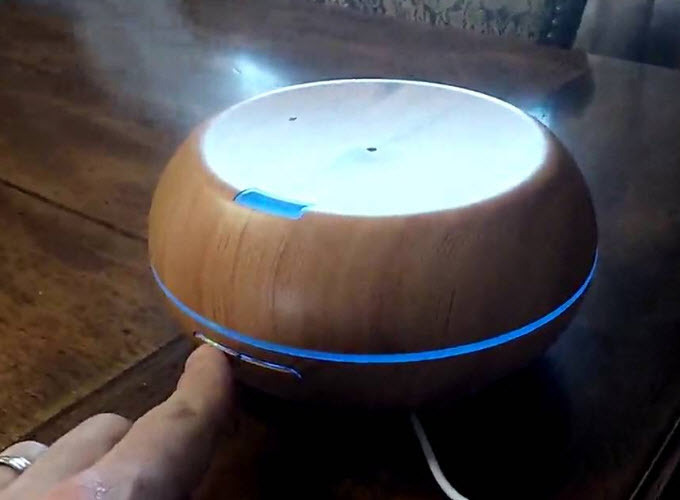 An ideal essential oils diffuser has programmable options, automatic shut-off feature. For diffusers which will be used overnight or for relaxation, choose one which has a lower noise level and which light effects can be set according to the user’s preference. Consider also the device’s specifications according to the range of area it can cover and its size and shape. Lastly, it should also be covered by a manufacturer’s warranty and guarantee.